MA In ICT Programme Subject Guide. Welcome to All Masters in ICT Students! This subject guide is designed to make your studies a pleasant one here at Wits and in it you will find detailed and specific subject area coverage relating to your degree programme. 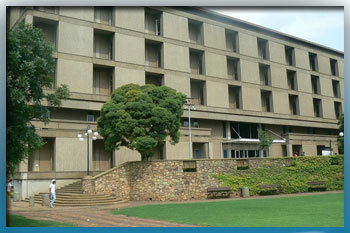 The guide is arranged so that you have access to general resources, specific applied research methods in your subject area, advanced information literacy tutorials and tools, data management information and methods, as well as links to resources and information in other subject portals within the Wits University Subject Guides. 2 core textbooks have been placed on the 3 Day Loan Shelf for the SLLS 7068 Module! Have you tried a JSTOR Search? You can search this valuable database in the Advanced Information Literacy Page! How would you rate this guide? This postgraduate degree provides regulators, operators and policy-makers in the electronic communications sector (telecommunications, broadcasting, Internet) and practitioners in the broad ICT sector with a high level of knowledge on the global trends in sector evolution, as well as the theoretical foundations for conducting research on topics of interest. The 2-year part-time Masters is offered under the auspices of the LINK Centre (SLLM) in the Faculty of Humanities, University of the Witwatersrand, Johannesburg. This is a research-intensive environment, supporting the exploration of research topics in: transitions to digital knowledge economies, technology trends and regulatory reform, market structures and approaches to regulation, sector legislation and institutional arrangements, costing concepts and pricing models, spectrum regulation and ICT resource allocation, digital TV migration and broadcast innovation, regulatory impact assessment, and other topics of interest to operators, regulators and policy-makers. The academics teaching on the programme and providing research supervision have an extensive knowledge of the field and are familiar with the legal and institutional contexts of many of the SADC countries. Graduates of the programme are from Namibia, Nigeria, Rwanda, South Africa and Zimbabwe. Academics teaching on the programme include Luci Abrahams, Charley Lewis, Professor Andrew Barendse and Professor Justine Limpitlaw. Research supervisors include Professor Nolwazi Mbananga, Professor Simon White and Dr Kiru Pillay. From 2015, the degree programme will consist of 3 modules each of 2 weeks duration (block release) and a 50% research report (approximately 35,000 words). The three modules and the research proposal will be completed in the first year of study and the research report will be completed in the second year of study. Remember to book your places on these valuable and informative webinars!